← Back Channel Chat – FIGHT! The seemingly sarcastic graphic actually supports my point. I remember my time in school and had many situations where I wanted to ask a question but was too embarrassed, shy or afraid of messing up. My questions would be left unanswered. Eventually I got better but still experience it n groups that I may not be comfortable with, such as in a big audience or the first day in a seminar. I feel that having a tool that would allow me to post a question right away when it comes up is a great opportunity for teachers to hit upon points that students would be too fearful, shy or tentative to bring up. 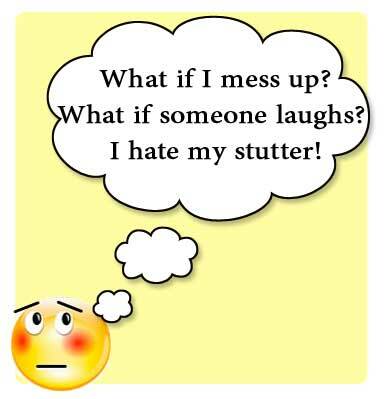 How about students with speech impediments like stutters, bad lisps, or who are simply not comfortable with the language of the classroom? Having a tool at hand to pose a question or make a statement would include them in the discussion/process. Yes, it may be a crutch and we may not be teaching them to persevere despite their perceived shortcomings. But we are helping them get their questions answered and have their opinions heard. Patrick makes a very good point about the inability for most people to be able to multi-task effectively. Having back channel tools on hand on devices such as the iPad or a laptop provide a slew of distractions. Solutions: A super cheap, one function mobile device that allows people to post questions/comments visible by the teacher will solve a few issues. There will be no distractions or side chats. Students walk into classroom or auditorium and grab a pre-charged BlackBerry-like device. Teacher has access to screen that labels questions and comments for inclusion. Device is plugged in on the way out. But can you restrict use of other devices like laptops that students may use to take notes? This entry was posted in Opinion and tagged back channel chat, multi-tasking, twitter, Twitter Education, twitter in the classroom. Bookmark the permalink. 1 Response to Can Twitter Improve My Education? A really important distinction to make among students is introversion versus extroversion. Something like 20% of students are introverted and therefor less likely to want to participate in a group discussion. You solution is a great idea that would really help these students and they may even be able to use it to participate in the discussion. BTW, I am a developer for WordStash (http://wordstash.com) which is a flash card based educational tool that allows teachers to create classes and share lists with their students. Check it out if you have a second.